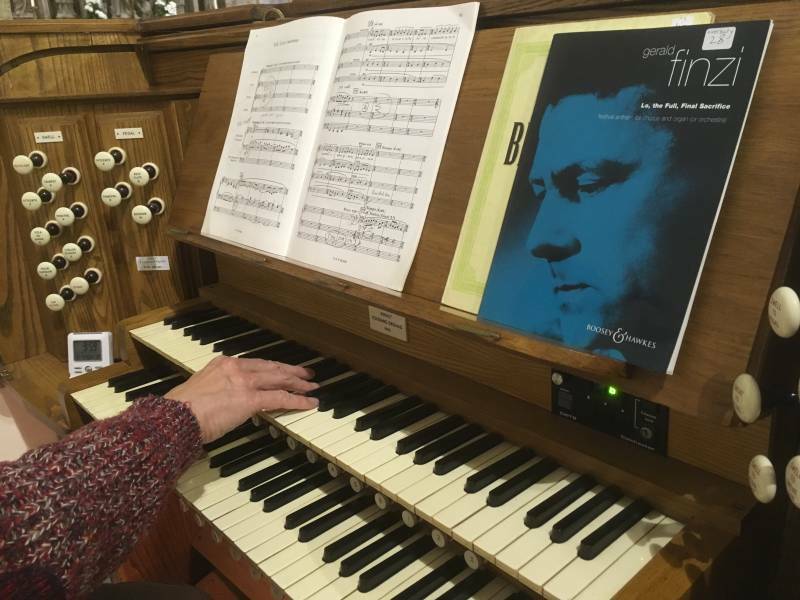 "Nice doing it with the organ!" 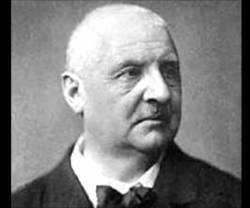 all good for the brain"
This season’s Come and Sing event focused on music by Anton Bruckner and Maurice Duruflé. The Bruckner motets are little gems of composition, self-contained, a whole world of expression, standing at the opposite end of the spectrum from the monumental symphonies. Staple diet of choirs the world over, they are hugely gratifying to perform. The Requiem by Maurice Duruflé is a much-loved work, comparable in tone and spirit to the setting by Fauré. Dramatic and consoling by turns, it owes much to the Gregorian chant upon which it is based. 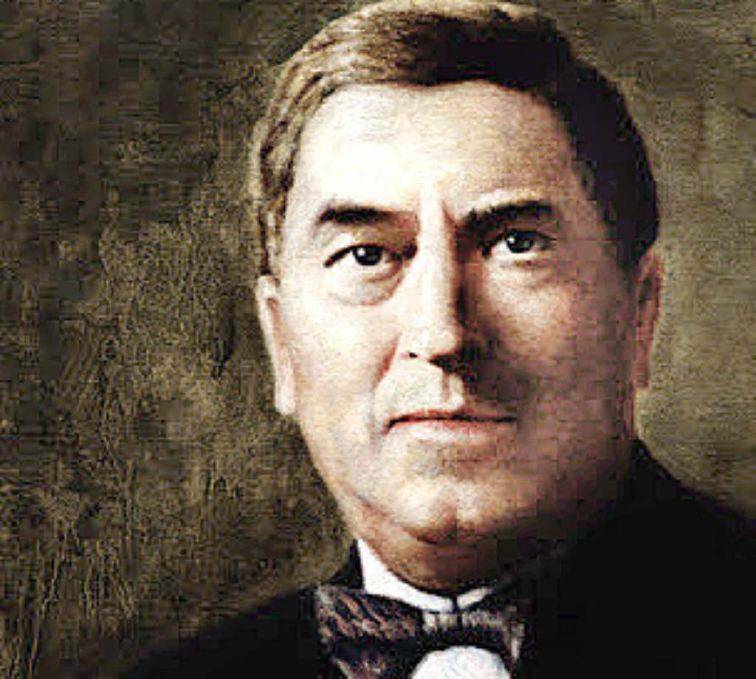 As with Vaughan Williams and folksong, so with Duruflé and plainsong – you can’t tell whether he is quoting or writing original material, but the music enjoys a unique spontaneity and fluidity which makes it deeply captivating and pleasing to sing. 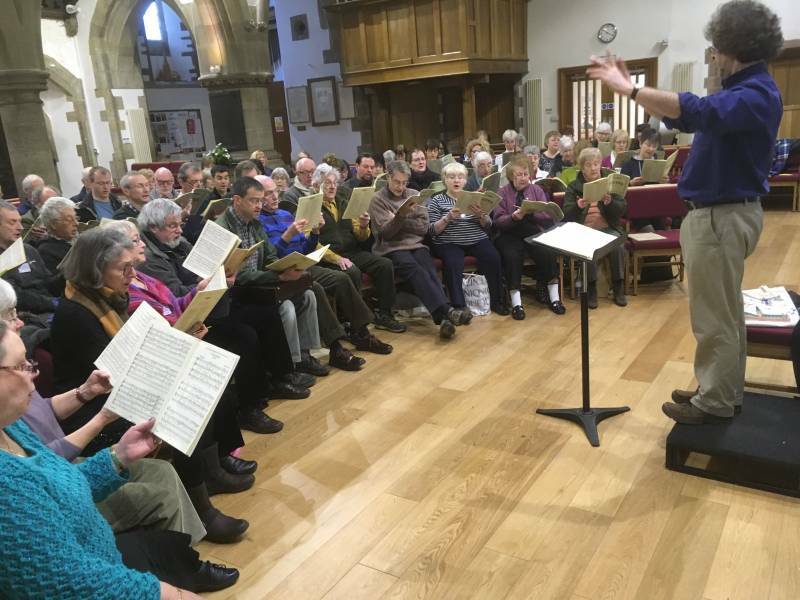 Director Richard Roddis is well known throughout the East Midlands for his work with choirs. His conducting experience stretches back more than a quarter of a century and, as a professional singer and a member of several top choirs, he brings a wealth of experience and enthusiasm to choral conducting. He was appointed Director of the Sinfonia Chorale in June 1991. 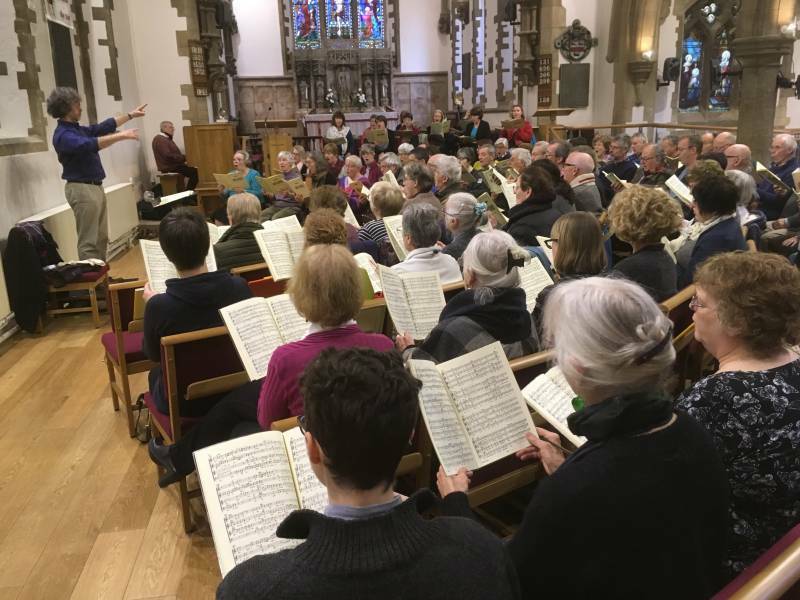 Over the years the Sinfonia Chorale has developed its own distinctive sound based on technical accuracy and a high standard of performance of different styles of music. St. Michael and All Angels Parish Church, Church Street, Bramcote, Nottingham, NG9 3HD. 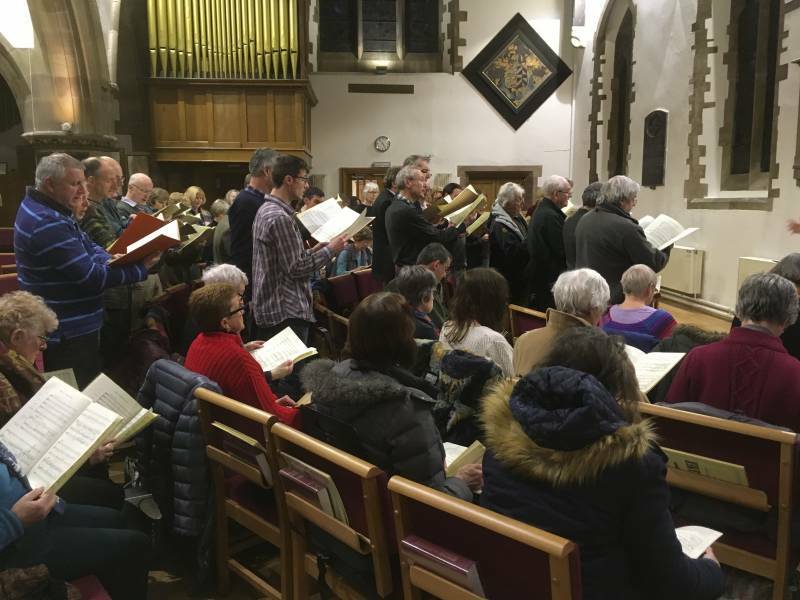 You will be able to hear the Sinfonia Chorale in concert on Saturday 3rd March at St Barnabas Cathedral, Derby Road, Nottingham NG1 5AE, performing the works which were studied during the workshop. "I just want to say a big thank you for a most enjoyable day. I always find the Sinfonia folk very friendly and welcoming as well as being well organised and good cooks ! A good choice of music too, some familiar, some new, all good for the brain ! 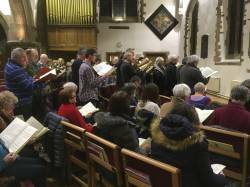 "Great to sing with a different choral director. Richard is very precise and keeps things moving!" "It’s been fun! Nice doing it with the organ!" Copyright © The Sinfonia Chorale, 2014-2019. All Rights Reserved.